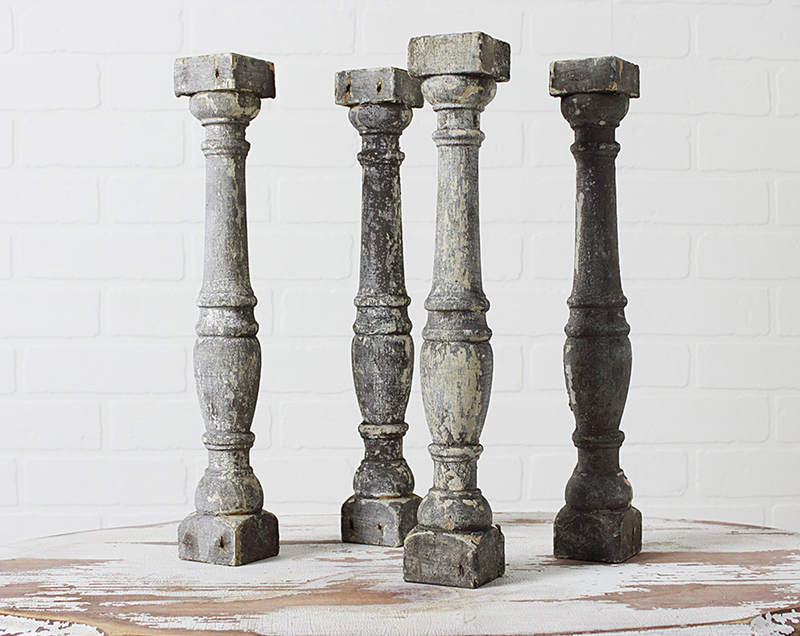 Set of 4 vintage architectural salvage balusters in chippy old grey paint. Each baluster measures 15 1/4" tall by 2" square at the top and base. Checkout Zinnia Cottage on Etsy for more architectural salvage and other great vintage finds. Unless otherwise noted, all content found on zinniacottage.com is my original content. If you'd like to borrow, please be sure to give credit and to link back. Thank you! Copyright © 2005-2016 Zinna Cottage. Powered by Blogger.